...and that Slimline Aluminum Christmas tree. ...all in the same week. And what a week at work it was...the craziness of the Christmas rush has begun...7 days a week from now until the big day...o boy. 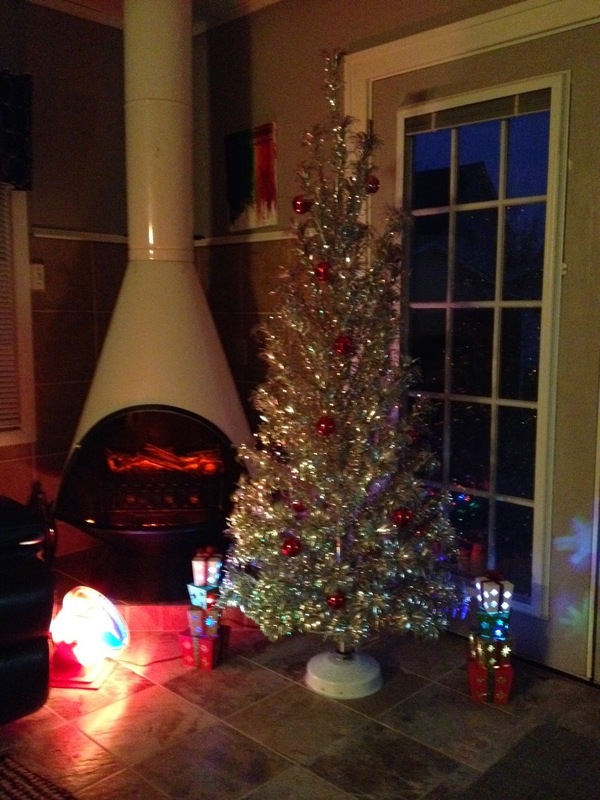 I do enjoy putting up my aluminum tree...in its rotating tree stand...and putting the color wheel in place...with the two battery operated stacks of Christmas presents...all in front of our Malm fireplace...a little bit of mid century modern heaven. 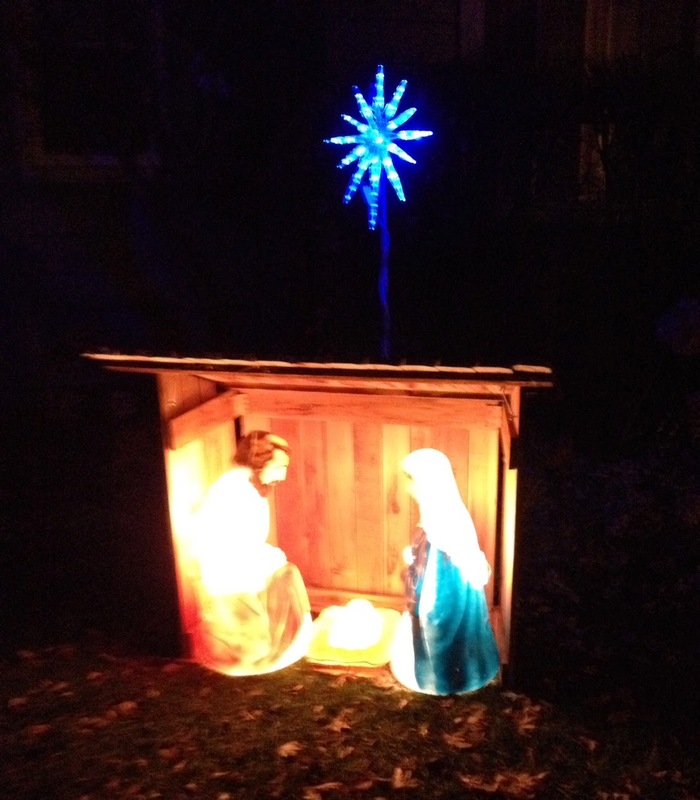 So that's about it for my Christmas decorating responsibilities...oh, I also had to put up the nativity scene outside...a stable, and plastic figures of Joseph, Mary, and the baby Jesus. 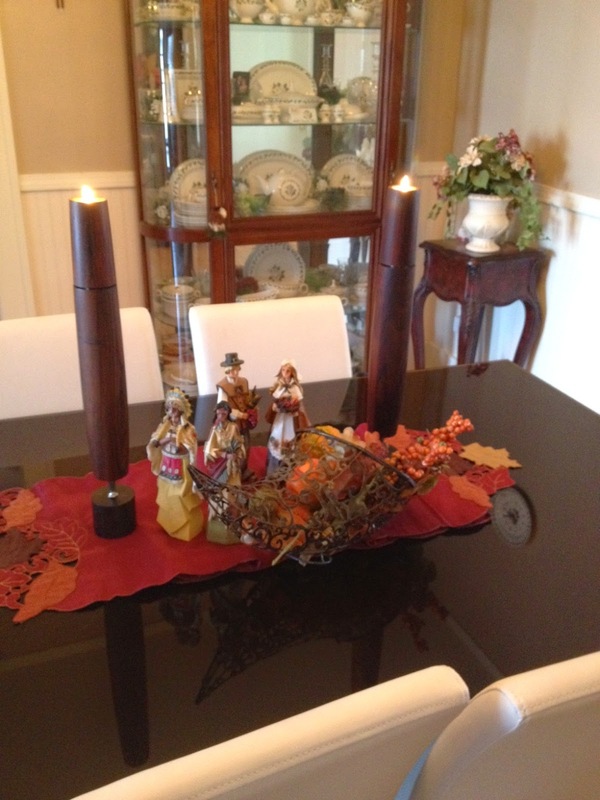 I might add a couple of critters this year, or maybe the wisemen. She asked me if I would be ok if we didn't this year, and I told her of course...my mcm aluminum tree is the only one I need...but I also told her she'll never get away with that b/c her daughters will insist on tradition. Guess who was right when she asked them? 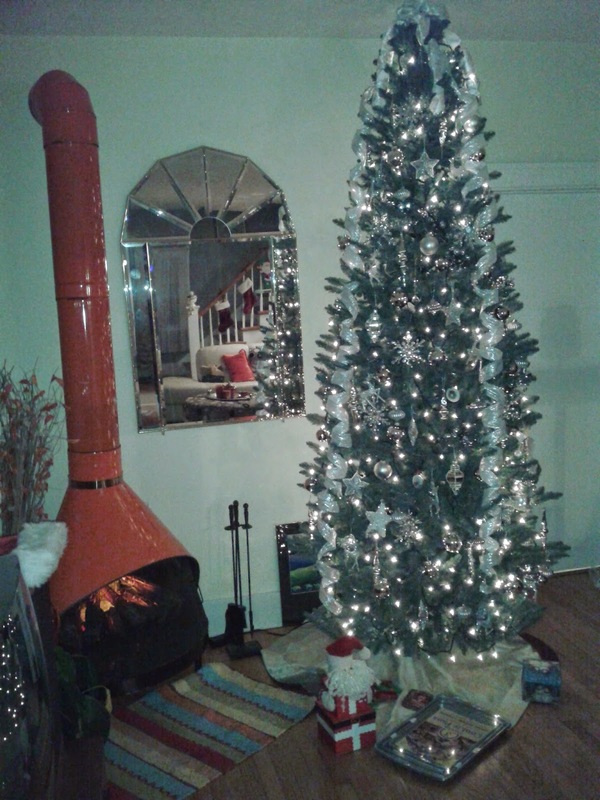 So the 9 ft tree will make another appearance this year...it is spectacular once she has it up, but it's a lot of work.